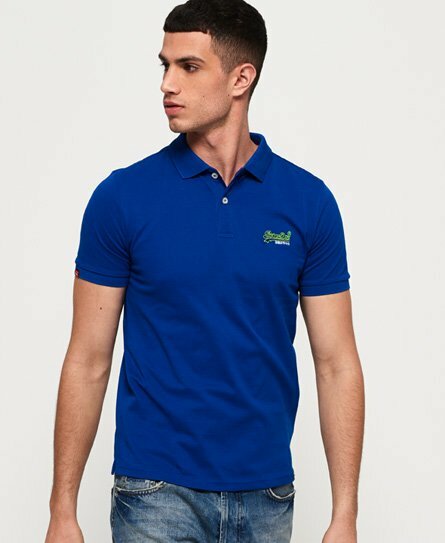 Superdry men's Mercerised lite city polo shirt. This polo shirt features a two button fastening, split side seams and an embroidered Superdry logo on the chest. Completed with a Superdry logo tab on the hem. Mercerised yarns are smoother with increased brightness of colour and give a luxurious touch.